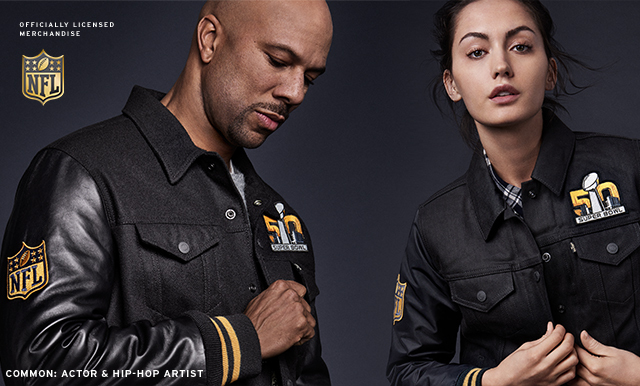 Capture history with the exclusive SB50 gear. Yup, Levi's has their own Super Bowl 50 Collection. Available online and in select Levi's Stores. Learn more at the Levi's website. By the way, they had a NFL Super Bowl fashion collection last year as well.